Do you have a broken filling, chipped tooth, tooth pain or another dental emergency? We offer emergency dental services like tooth extractions, root canals and replacement dental fillings at our Scarborough dental clinic. Our dentist office also accepts walk in emergency patients. You don't have to be a current patient of our dental clinic to receive emergency dental care. Contact us at the Markham Steeles Dental Centre in Scarborough if you are having a dental emergency, tooth pain or have a broken tooth. You don't have to be a patient to see us for a dental emergency. Chipped or broken tooth emergency? If you have a chipped or broken tooth, call us! 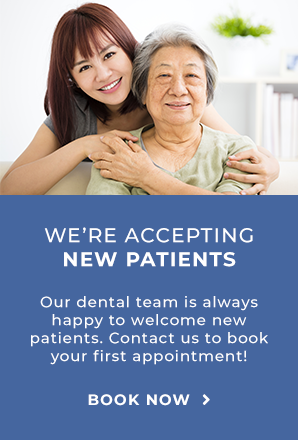 At Markham Steeles Dental Centre, our dentists can help repair your broken teeth. Give us a call immediately if you have a broken tooth and we will have one of our dentists look at the tooth to determine the best treatment for you. If you are experiencing a toothache, please give us a call. We are open late and will make an appointment for you right away if necessary. If you are experiencing pain after hours, please call us and leave a message and we will get back to you in the morning. Until you can get to our office, ask a pharmacist about over the counter pain remedies and try holding an ice pack against the area that is hurt.